Did you know that January 17th is Ditch New Year’s Resolution Day? 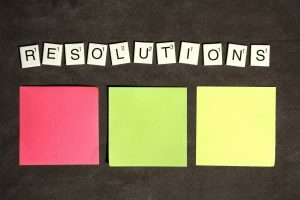 Do you know that, according to some studies, almost 80% of people who make New Year’s resolutions abandon them at some point during the year and only about 12% succeed with their resolutions? Don’t let that be you. Making a New Year’s Resolution is another way of saying you’d like to make a behavioral change. You want to do something different this year to attain a certain goal and to continue with this change. Limit the number of resolutions. Work on changing one or two things at a time. Make your goals attainable, measurable and realistic. Instead of going from never working out to planning on working out 7 days a week, begin by setting the goal at 2 days a week. Make a plan to reach that 1st, small, attainable goal. What’s your plan to get to the gym 2 days a week? Visualize yourself having reached your goal. Do one thing each day that will help you reach your goal. Consider enlisting the support of others. Focus on the small achievements and reward yourself for them. Happy New Year! Enjoy your new habits! This entry was posted in Change, Diet, health, self help, Weight Loss and tagged change, diet, holidays on January 15, 2018 by Linda Walter, LCSW. Did you know that Autoimmune Disorders occur almost exclusively in developed countries? That’s right, people in underdeveloped countries, without clean running water, flushing toilets, cars, large supermarkets don’t really experience these diseases. Major differences in life styles is the reason why. In developed countries we sit more and walk less, work more and socialize less, work from a desk using mostly our minds instead of outside using mostly our bodies, and because of ease of getting medications, pay little attention to the mind/body connection. Our thoughts and emotions have a large impact on how we feel. As an example, did you ever go into a movie with a pain in your arm and get so engrossed in the movie that you forgot your arm hurt? Or, did you ever think so much about your arm pain that the pain began to feel excruciating? That is a prime example of how our thoughts control how our body feels. Hypnosis is a state of deep relaxation which helps the mind focus, and in that state of focused attention, you can easily learn suggestions and tools to help your body feel more comfortable and less pain. Our thoughts have a major impact on how our body feels, in fact, they can regulate how our bodies feel. And since we are in control of our thoughts, why not use them to our benefit? 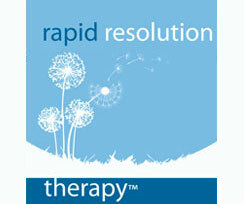 With hypnotherapy we can modify our thought patterns to help our bodies. This is an excerpt from a longer article. For the complete article, please read it at https://www.psychologytoday.com/blog/life-without-anxiety/201706/hypnotherapy-and-its-benefits-autoimmune-disease. This entry was posted in Change, Clinical Hypnosis, health, Health, Hypnotherapy, NYC Counseling and Therapy and tagged health, MS, relaxation, rheumatoid arthritis on June 22, 2017 by Linda Walter, LCSW.